Roofs, storage tanks, ducting and pipework are all commonly insulated by the spray application of PU or PIR rigid foam. Generally the application is by hand-held high pressure spray guns. Foam systems must be highly reactive as they are often sprayed on to vertical surfaces, where the foam must form in position rather than ‘slumping’. 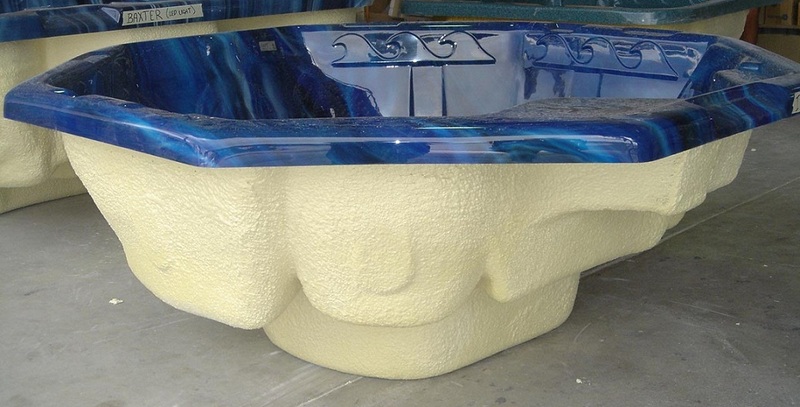 Sprayed rigid foam is also used to insulate baths and spa’s – where not only is the foam used for insulation purposes, but it also strengthens and stiffens the thin thermoplastic substrate.